Trends were still a little shaky but trailing stops and new crossover rules are working out for the SMA Crossover Pullback System so far. If you’re wondering what I’m talking about, make sure you look at the trading rules and risk management adjustments first. In my earlier update, EUR/USD had a long position left open before the U.S. election ruckus. Thank goodness for that sharp rally because it allowed the trailing stop to get activated, locking in gains when the similarly sharp reversal took place. A new crossover happened afterwards but there have been no pullback signals yet. 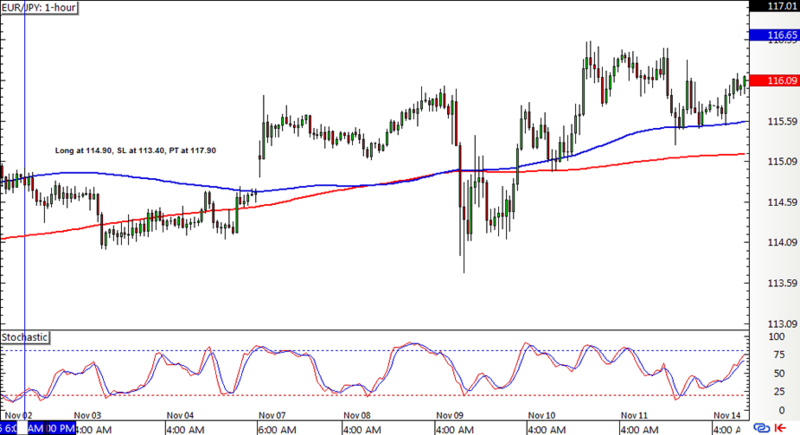 EUR/JPY also had a long position left open the other week and this one is still open while the trailing stop is in place, even after that close call with the moving averages sticking together. Phew! 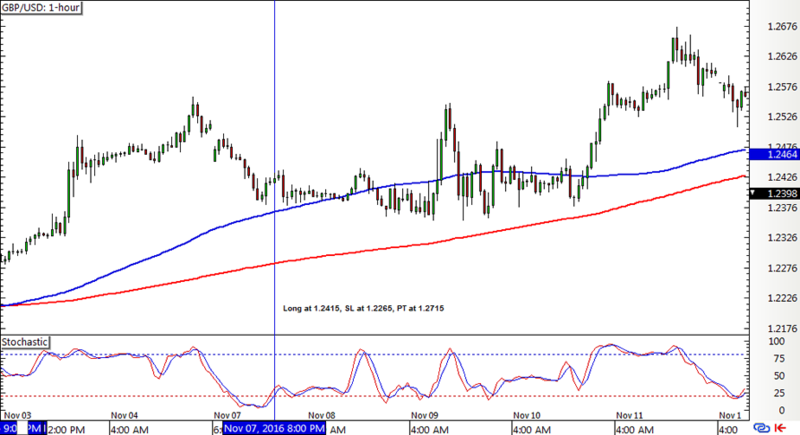 Cable had a new upward crossover last week, followed by a stochastic pullback signal. 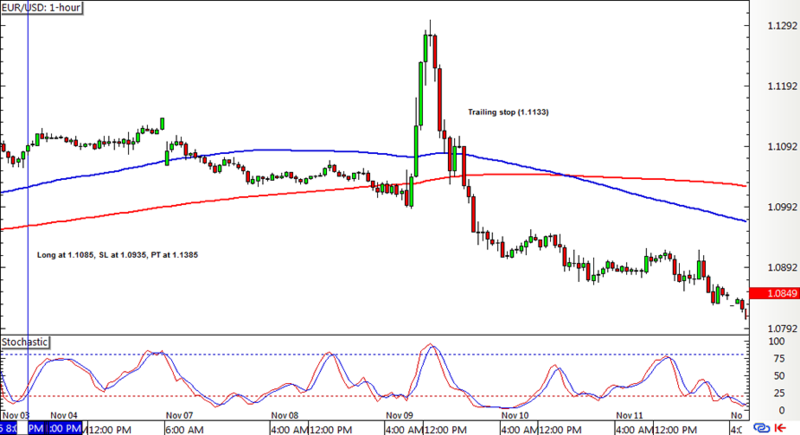 This long position also has the trailing stop activated so we’ve got at least a few pips in the bag here. AUD/USD had a choppy run, generating a pullback signal on that sharp post-election drop then getting stopped out on a new crossover for a small loss. 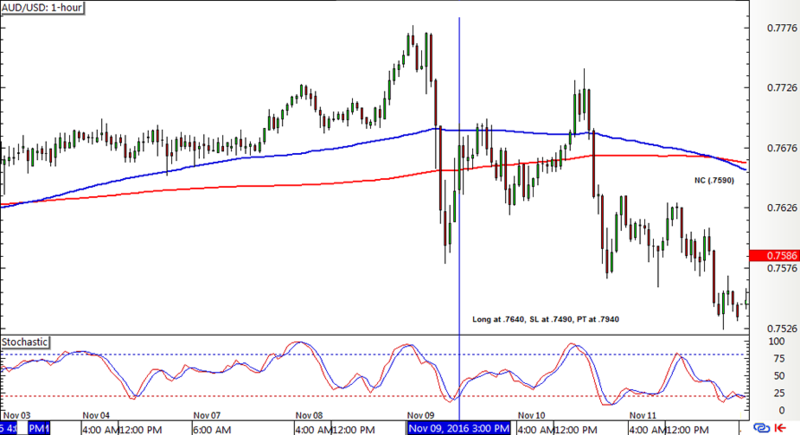 With that, the SMA Crossover Pullback system ended the week with a teensy 2-pip loss or a -0.01% dent on the account because the AUD/USD loss cancelled out the EUR/USD win. The long positions on GBP/USD and EUR/JPY are looking more promising, though, so I’m keeping my robot fingers crossed that the next batch of results would be more positive.